If you are wanting to set the mood for your Father’s Day meal, dress it up with some of these creative table settings. Here is a great button-down vase centerpiece from Family Chic. 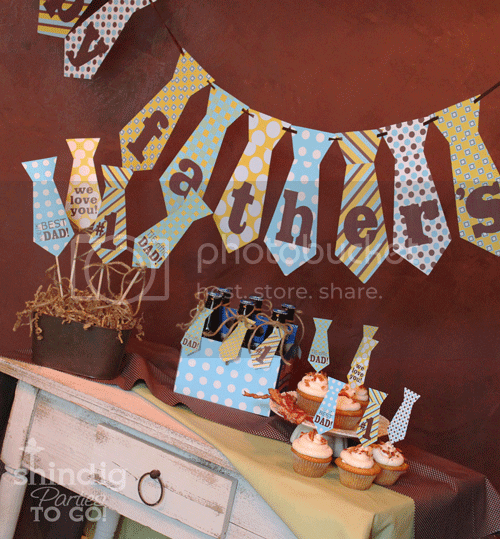 Dress the table up with mustaches and bunting like this one from RubyJu. Grab a belt to use as a napkin ring like this one from The Jewish Hostess. Here is a creative way to use your utensil to create a fun table setting from Daily Cool. I absolutely adore this wonderful tablescape from Kimberly Schlegel Whitman. She used ties to make a tablecloth, newspaper to wrap the presents and men’s pinstripe shirts to create a pocket napkin. Are you planning a special breakfast for Father’s Day? If you want to try something different for dad this year, here are some great ideas. There are recipes here if your dad likes eggs, or pancakes, or bacon (it’s chocolate covered bacon)! If you want to let your dad choose out of all these delicious recipes, have him fill out his request on this Father’s Day Room Service Card from Seven Thirty Three! Creative food for Father’s Day and a Great Freebie! Do you want to make something different this Father’s Day? Is your dad a beer lover? 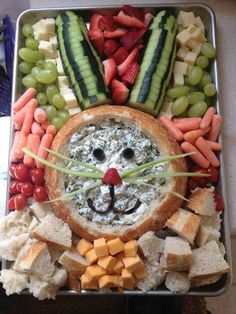 If so….these recipes are sure to be a hit! 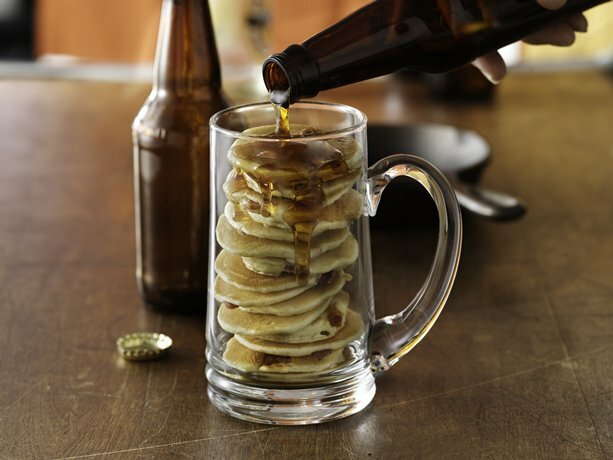 These pancakes from Betty Crocker add a new spice to pancakes with beer and bacon. Here is another beer pancakes recipe from Craft Beer. What about Chocolate Covered Beer Marshmallows??? 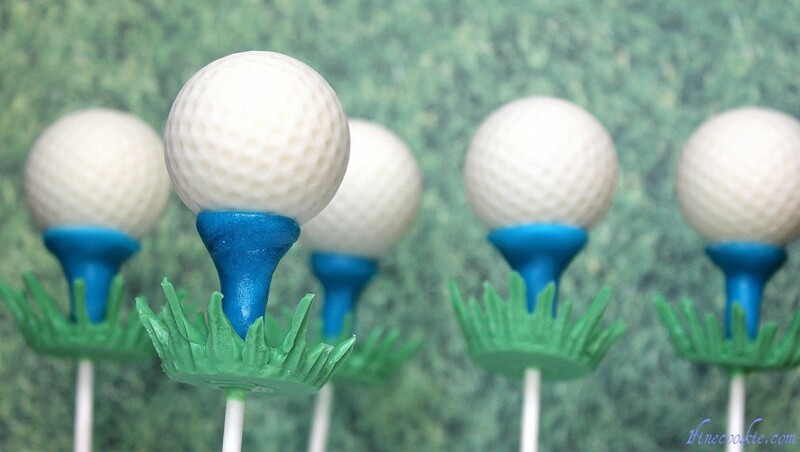 Here is a twist on cake balls! 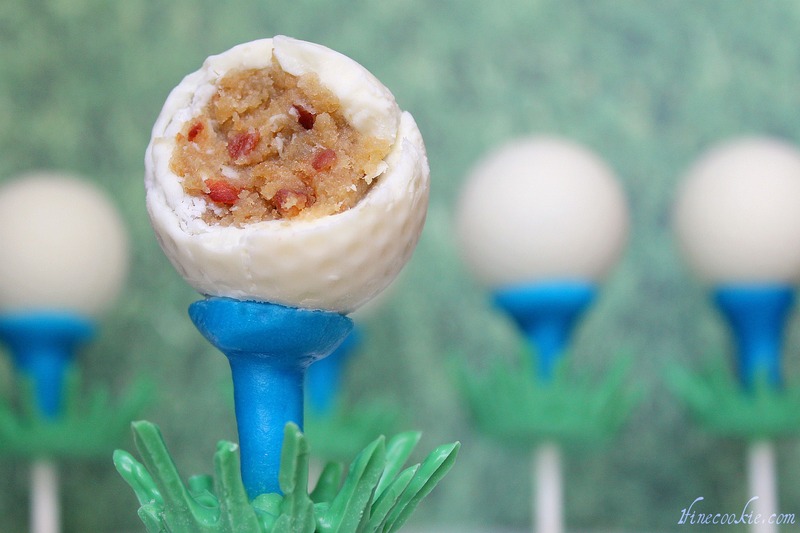 These Golf Cake Balls from 1 Fine Cookie are made with a cake, beer and bacon. If you need some great decorations while cooking up these delicious treats, then be sure to get these Father’s Day printables from Shindig Parties TO Go here!